The easy answer for dry eye relief. To open, twist and pull tab to remove. Instill 1 or 2 drops in the affected eye(s) as needed and discard container. If used for post-operative (e.g. 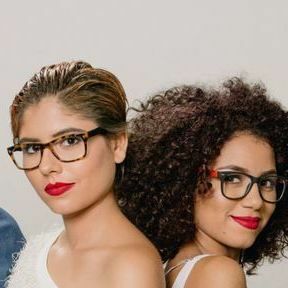 LASIK) dryness and discomfort, follow your eye doctor's instructions. Retain this carton for future reference.Inactive Ingredients:Calcium Chloride; Magnesium Chloride; Potassium Chloride; Purified Water; Sodium Chloride; Sodium Lactate; May Also Contain: Hydrochloric Acid and/or Sodium Hydroxide to Adjust pHUses:For the temporary relief of burning, irritation and discomfort due to dryness of the eye or exposure to wind and sun. May be used as a protectant against further irritation. 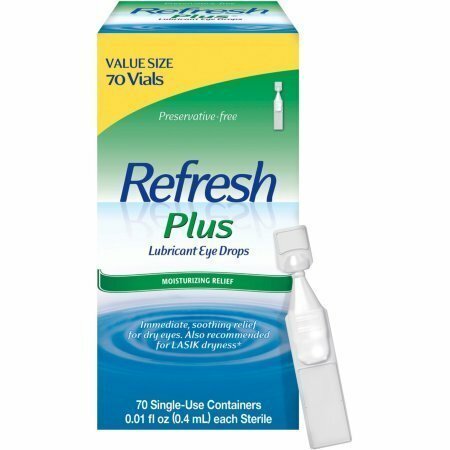 REFRESH PLUS Lubricant Eye Drops instantly moisturizes and relieves dry, irritated eyes with a fast-acting, long lasting formula for sensitive eyes that has many of the same healthy qualities as your own natural tears. Demonstrated to improve dry eye when used after LASIK. REFRESH PLUS comes in convenient single use vials and is safe to use as often as needed, so your eyes can feel good - anytime, anywhere.For external use only. To avoid contamination, do not touch tip of container to any surface. Do not reuse. Once opened, discard. Do not touch unit-dose tip to eye. Do not use if solution changes color or becomes cloudy. Stop use and ask a doctor if you experience eye pain, changes in vision, continued redness or irritation of the eye, or if the condition worsens or persists for more than 72 hours. Keep out of reach of children. If swallowed, get medical help or contact a Poison Control Center right away.